Various political actions of the City of Lincoln City. People interested in the decisions made by our local government now have a new tool to help them stay informed. The City began using a new system in its June 25 Counsel meeting that streams the feed seen on Charter Channel 4 over the internet. During the meeting the stream is live and can be viewed by anyone with an internet connection. Once the meeting has concluded the material is available on an on-demand basis. City Manager David Hawker indicated that each meeting will be available for months. In addition to the City Council, the Planning Commission and the Urban Renewal Agency meetings will be available. No word on whether the DLWID will be allowed to upgrade their broadcasts to the new system. 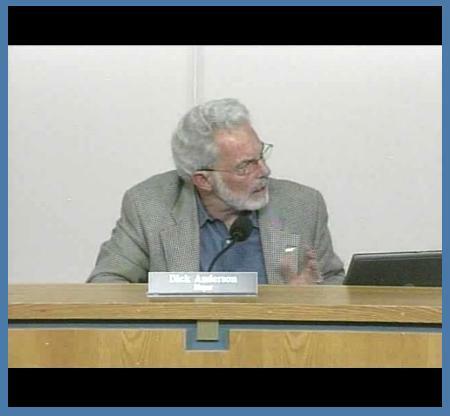 To view footage from the meetings, go to www.lincolncity.org and follow the link on the left side of the page for Council and Planning Commission Video. The eventual expansion of the Lincoln City sewer system to the East side of Devils Lake received a boost from an unlikely source recently. As reported in the March 14th News Guard Bi-Mart corporation has agreed to pay $25,000 toward the City’s efforts to develop a Sewer Master Plan for installing sewers around the lake. 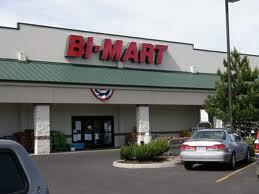 The funding commitment is part of a negotiated settlement between the City and Bi-Mart stemming from the 2009 land purchase required for the construction of the new store located on Oar Ave. As part of the sale agreement Bi-Mart agreed to construct its new store to Leadership in Energy and Environmental Design (LEED) standards. Due apparently to delays in the project the LEED requirement was not incorporated into the project. Bi-Mart was willing to commit to the cash contribution as well as a commitment to purchase at least 6 percent of their energy needs through the Blue Sky renewable energy program. Commencement of project to create a Sewer Master Plan for Devils Lake has yet to be announced by the City but the general topic has been on Councils agenda several times in the past few months. 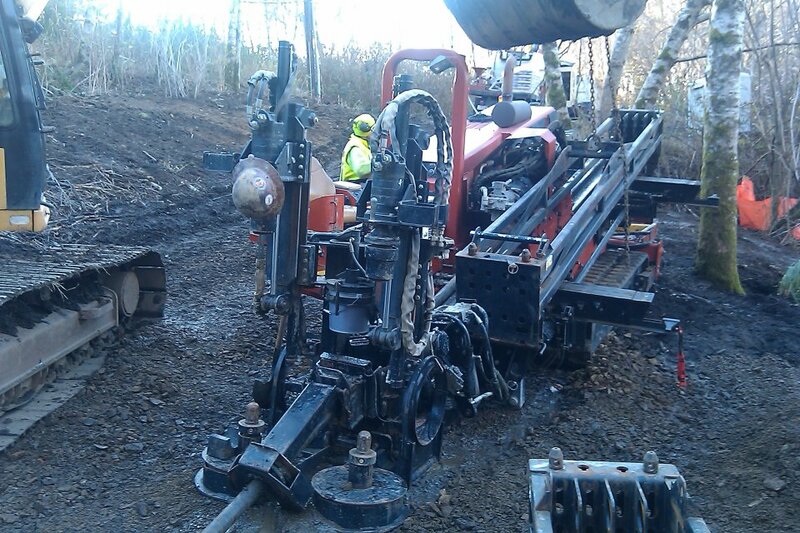 The Confederated Tribes of the Siletz Indians took another step toward the eventual use of water from Devils Lake for watering the Golf Course with the commencement of construction of a new irrigation line on December 22nd. The new line crosses under Hwy 101 just East of West Devils Lake Drive and enters the lake across from the Blue Heron Marina. The Tribe obtained the contractual use of a historical water right originally used as the water supply to Oceanlake, when the Lincoln City Council approved an agreement contemplated in May 2010 between the City and the Confederated Tribes of the Siletz Indians. With their approval in the Aug 22, 2011 meeting, the City Council entered into an agreement for the City to lease part of its senior water rights on Rock Creek for use on the golf course. The DLWID captured this recent construction with a series of photographs including the one shown here. The remaining photos can be viewed on the Districts Facebook page. For more information on the transaction, see City and Siletz Tribe Answer Citizens Questions. Several lakefront homeowners have called on Devils Lake officials to oppose Lincoln City’s moves toward a septic tank inspection program, saying the City has failed to provide proof that septic systems are polluting the lake. Citing the importance of Devils Lake to the Lincoln City area, city councilors have decided to pursue the idea of a new tax to pay for the installation of sewers throughout the watershed. At its Nov. 14 meeting, Lincoln City Council unanimously agreed to move forward with the idea of a tax in addition to the development of an inspection program for septic systems that are tributary to the lake. Options for tackling pollution in Devils Lake include a City fee on nearby septic tank owners, with the proceeds going toward installation of sewers around the lake, local officials say. Meeting on Nov. 7, members of Lincoln City Council and the Devils Lake Water Improvement District (DLWID) heard such a fee could help the City afford the ambitious project, which has an estimated cost of $30 million. The group also discussed the prospect of DLWID asking voters to approve a property tax increase to fund the work.